Intubated ICU patient weighing 230kg. Difficult correlation of CXR and Clinical findings. Review the CXR and lung ultrasound images to develop your diagnosis. CXR in morbid obesity is often hard to interpret. LUS (with cardiac probe) demonstrated sliding pleura in all areas, one single B line, and clear bases. 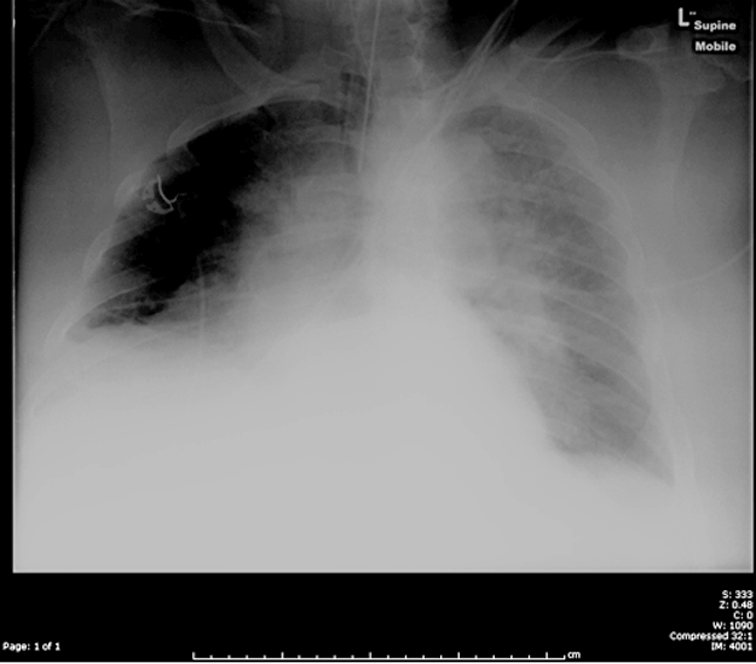 We were even able to scan posteriorly (not shown).Our ICU team agreed with our interpretation in correlation with the clinical picture rather than the various CXR reports.